$10 Dishes at Mimi’s Cafe? Yum! This is a sponsored post with Mimi’s Cafe. All opinions are my own. When is the last time you went out to eat? We had the chance to head to Mimi’s Cafe this past weekend. And it was nice. My husband and I need to go out more often. Alone. Without the children. I mean, we don’t do it often enough. Mainly because we don’t want to bother someone else. Why did we head to Mimi’s Cafe? Located at Polaris in Columbus, Mimi’s Cafe has a delicious French-inspired menu. They serve breakfast, lunch, and dinner with a kids menu making it perfect for a family night if our babysitter canceled. They are also offering $10 dishes to warm your heart. 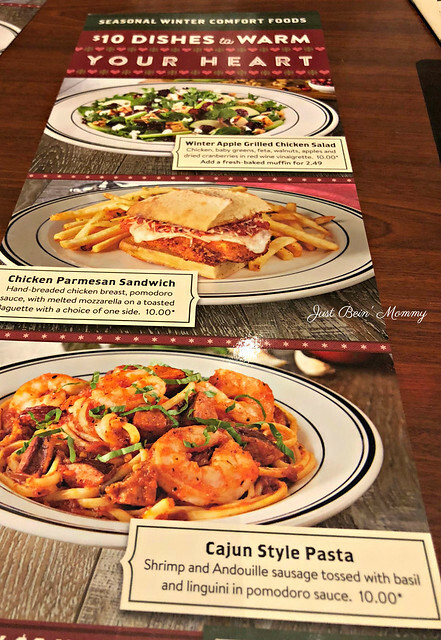 From now until February 6th, you can order 1 of these 3 meals that happen to cost just $10! Winter Apple Grilled Chicken Salad: This includes chicken, baby greens, feta, walnuts, apples and dried cranberries in a red wine vinaigrette. 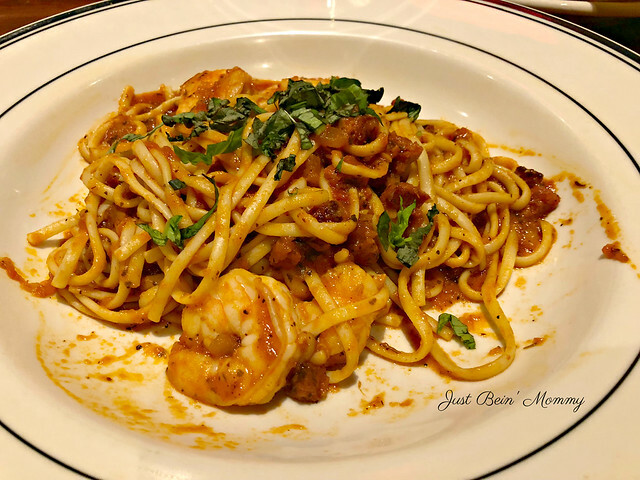 Cajun Style Pasta: Shrimp and Andouille sausage tossed with basil and linguini in Pomodoro sauce. Chicken Parmesan Sandwich: Hand-breaded chicken breast, Pomodoro sauce, with melted mozzarella on a toasted baguette with a choice of one side. So what did we eat at Mimi’s Cafe? 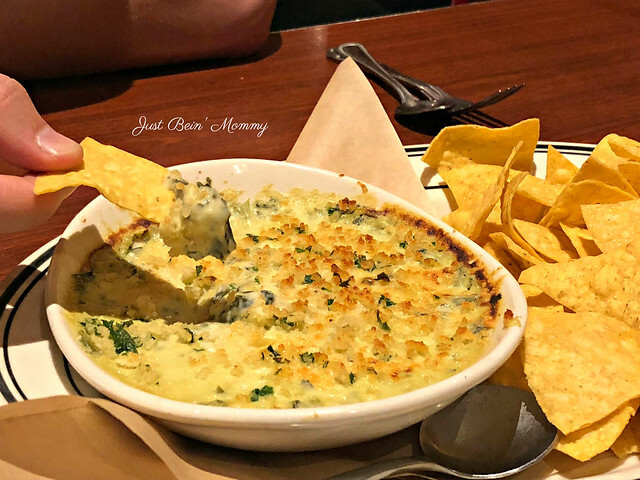 We started with an appetizer: Warm Spinach Artichoke Dip! It is served with warm house-made tortilla chips. I’m pretty sure it was the best artichoke dip we’d had in a long time. It came out hot and creamy. Both my husband and I enjoyed it. Paul ordered Fried Chicken and Waffles. 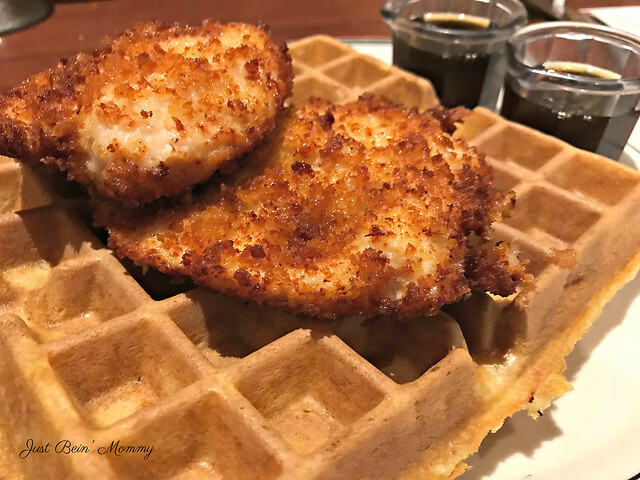 It came with hand-breaded chicken breast and buttermilk waffles. Complete with 2 containers of syrup. While Paul loved the chicken and waffles, a suggestion from the manager took it over the top. He suggested adding hot sauce to the chicken. The mixture of hot and sweet took the dish to another level. Paul highly recommends it. I ordered the Cajun Style Pasta from the $10 comfort food dishes. The serving size was perfect for me as I eat much less now that I’ve lost weight. The shrimp was perfect while the andouille sausage was delicious. I occasionally forgot about the sausage as it was cut into small pieces so I never knew when I’d get a taste. The whole dish was great. Fresh Beef available at McDonald’s!